We base our business on repeat clientele and we believe the only way to achieve this is to satisfy our customers 100% of the time to ensure they want to come back to us. 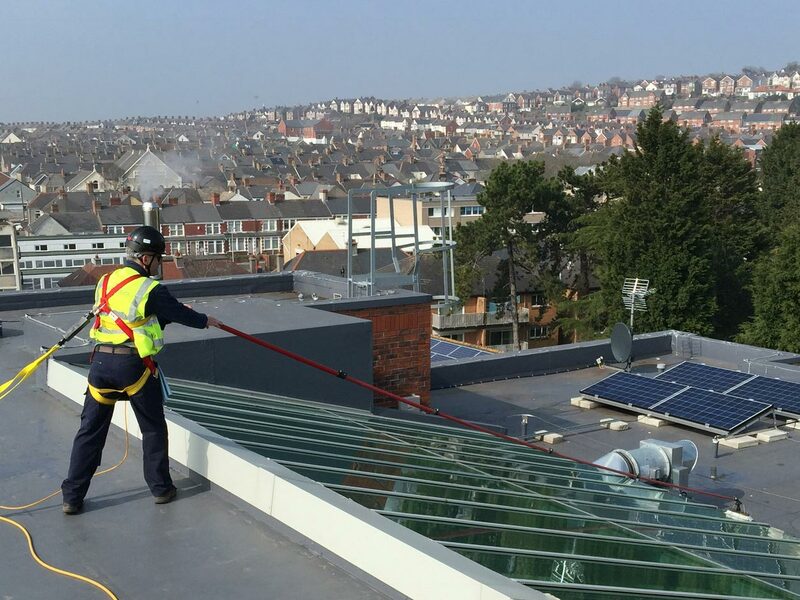 Established in 2015 to serve solely the commercial sector the team at Cardiff Window Cleaner Ltd has a combined experience of over 70 years in the cleaning industry. 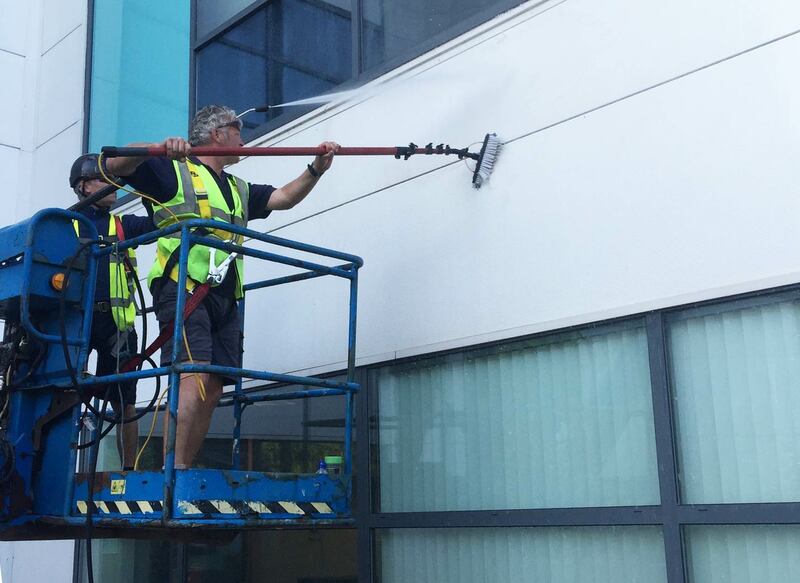 We just love maintaining buildings so they look as good on the outside as when they were first built so wether you require Window Cleaning, Gutter Cleaning, Pressure washing or Specialist Softwashing treatment for render and roofs we have the expertise to give you exactly what you want. Our fully insured and uniformed staff are trained to exceed expectations. Where possible we will go that one step further to emphasise that we care about your building as much as you do. We are a team of perfectionists who thrive on satisfied clients. Each member of our team is trained in customer care so whether we are talking to a resident, the owner of a building or a property manager, all will be greeted with the same respect and helpful demeanour. After all if the resident isn't happy then it's unlikely that the people we work for directly will be either. We hope you get to experience this dedicated approach to all aspects of our work and look forward to working for you. Some of the services we specialise in.